The State of the City Address will be held on Wednesday, February 20, 2019 at the Waterfront Convention Center. Opening remarks and lunch begin at 11:30 a.m. Mayor Robert Gallagher will present the State of the City Address at approximately 12:15 p.m. The public is invited to attend the luncheon and/or the State of the City Address. The presentation is free to attend. There will an optional lunch available for purchase at $10/person. 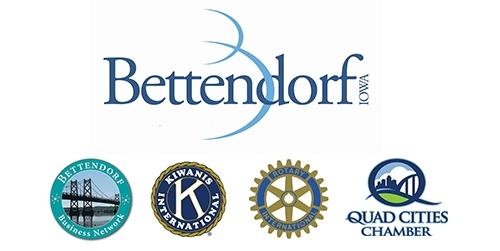 The State of the City address is an annual presentation by the Mayor of Bettendorf bringing government officials, business owners, civic leaders, and residents together to reflect on City accomplishments from the past year and to review plans for the future. Online registration closes Tuesday, February 19th at noon. Walk-ins are welcome! Cash or check only at the door.